The A6 lineup includes models with turbocharged 4-cylinder (2.0T), supercharged V6 (3.0T) power, and a direct-injected 3.0L V6. A6 2.0T models are offered with either front-wheel drive or quattro all-wheel drive, while 3.0T models all include quattro. 2.0L turbocharged models now generate 252 horsepower, while 3.0L-powered models manage 333 horsepower and 325 pound-feet of torque. The Prestige trim ups that output to 340 hp and 325 lb-feet of torque. Base models of the A6 with front-wheel drive (dubbed FrontTrack) include a continuously variable transaxle (CVT), but the rest of the lineup utilizes the excellent 8-speed Tiptronic automatic. Audi's quattro all-wheel drive system is also available with either engine. The system is a rear-biased version of Audi's quattro system that provides balanced handling, while the A6's construction uses a combination of aluminum panels and high-strength steel to save weight and improve the A6's nimble, responsive feel. Thanks to Audi Drive Select, steering and throttle are adjustable, as is transmission behavior. Inside, the A6 is beautifully detailed, with a wraparound design, supportive seats and just the right amount of bright trim. All models save the base Premium, 4-zone automatic climate control and ventilated seats are also available. In addition, there are some standout technology features, such as built-in Wi-Fi connection and integrated Google Local Search. The A6 is also strong on safety features, with a Pre Sense system, which initiates protective measures if it anticipates a collision, included in all A6 models. There's also available adaptive cruise control and an Audi side assist option that warns of vehicles potentially in the driver's blind spot. Those willing to splurge on options are also able to get a night-vision assistant and head-up display, as well as the phenomenal 1,300-watt, 15-speaker Bang & Olufsen Advanced Sound System. A 630-watt, 14-speaker Bose surround sound system is also available. Key trim levels for the A6 2.0T are Premium and Premium Plus, while the 3.0T starts at Premium Plus and are also offered in a Prestige trim. Premium Plus models add keyless start, LED running lamps, a parking-sensor system, 4-zone climate control and Audi's MMI Touch screen-driven interface with HD Radio, plus navigation with SiriusXM traffic. The top Prestige model steps up to Bose surround system, heated-and-ventilated front seats, a power-adjustable steering column, LED headlamps, LED ambient lighting, Audi side assist with Pre Sense, plus appearance extras. The Prestige A6 is comes with a tuned version of the 3.0L V6 and all-wheel drive. The trim includes sport-tuned suspension, a sport differential and a head-up display. The S6 is a high-performance variation on the A6 but a big step up in performance, thanks to its 420-horsepower, 4.0L turbocharged V8 engine, along with a special 7-speed S tronic gearbox and various other performance upgrades. The S6 has a stiffer performance suspension, as well as an air suspension system with variable damping and four modes. The S6 supports its performance credibility with upgraded ventilated disc brakes with matte-black calipers, a 4-outlet dual exhaust and special 19-inch cast-aluminum wheels. A "cylinder on demand" system can temporarily shut some cylinders off to save fuel, while active engine mounts and active noise cancellation keep the vibration at bay. Inside, the S6 gets special power-adjustable S6 sport seats, Valcona leather seats with diamond stitching, leather steering-wheel trim with colored stitching, illuminated door sills and special sport seats. The 2018 Audi A6 gets new standard equipment including a navigation system and keyless entry and ignition. LED headlights have been added to the Premium trim while the Prestige trim gains a 360-degree camera. 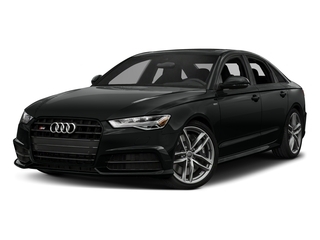 The 2018 Audi A6 is a mid-size luxury sport sedan that offers strong performance while also delivering all-weather confidence and good gas mileage. Interior and backseat space are also a bit better than in other rear-wheel-drive European sport sedans and the interior appointments themselves stand out as more fashion-forward. Audi claims best-in-class fuel economy for the 2.0T model, which achieves up to 22 mpg city, 31 highway. Advanced technolog — hether for safety, information, or entertainmen — s where the A6 really shines. It offers blind-spot monitors, a night vision system, a head-up display, parking sensors, adaptive cruise control and other leading-edge safety features. The A6 is also ahead of the curve with its excellent MMI Touch system, which includes a simplified interface and a scratch-pad controller that accepts input addresses by tracing individual letters. Meanwhile, the S6 remains a performance standout, capable of propelling it to 60 mph in just 4.8 seconds.